Grad student Rebecca Erde MID 19 masters the ancient art of brazing at the Tokyo College of Cycle Design. Students in a three-week summer bike-building class in Tokyo absorbed contemporary Japanese culture and design aesthetics while honing their skills as makers. 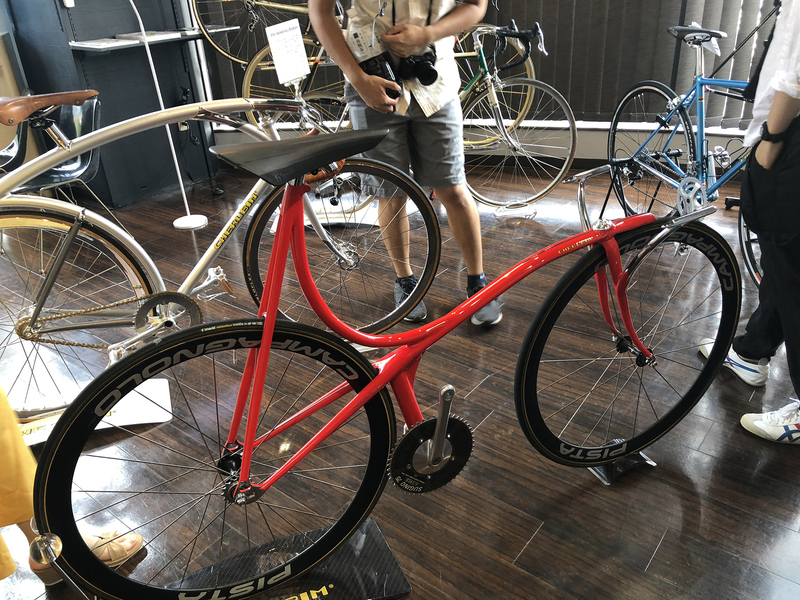 Now offered under the auspices of RISD Global, Tokyo: Bike Building gives cycling enthusiasts the opportunity to study traditional steel-framed bicycle building techniques with master craftsmen at the Tokyo College of Cycle Design (TCD). 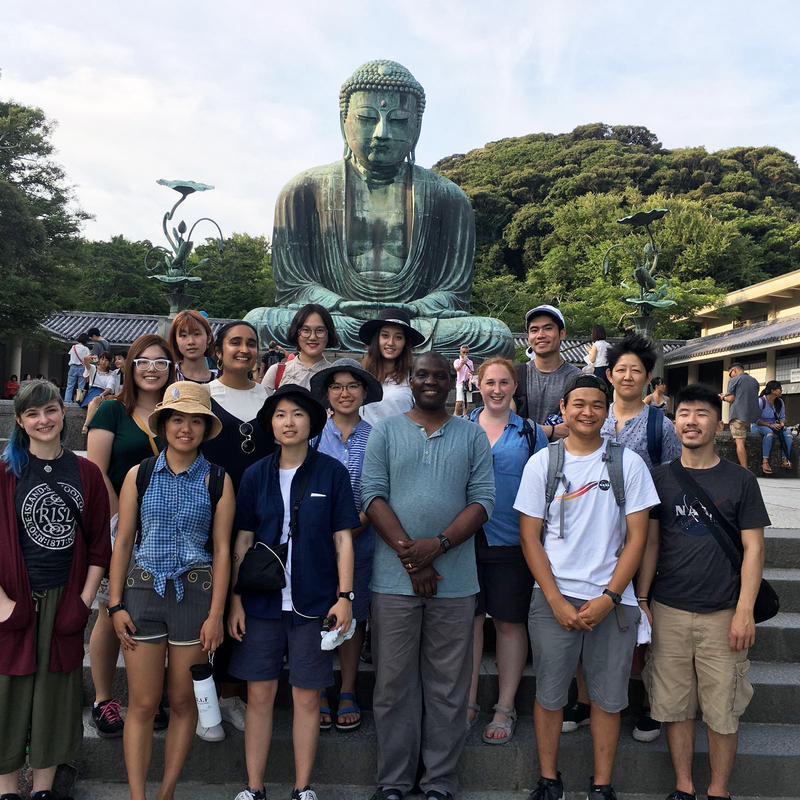 Associate Professor Khipra Nichols (front row, third from right) introduced students to culturally significant sites in Tokyo and nearby cities. Many of the students who participated are Industrial Design majors used to responding to an assigned design problem by creating a series of prototypes or 3D models without necessarily building the final product. As Nichols points out, the bike-building class—with its focus on craft and precision—complements RISD’s on-campus curriculum beautifully. Before even beginning their “apprenticeships” at TCD—in the heart of Tokyo’s Shibuya district—students toured the nearby city of Kamakura, home to the 13th-century Buddhist temple Kōtoku-in, and dined at the world-famous Muji Café in Yurakucho. “We were lucky enough to have ID faculty member Ayako Takase 99 ID as our guide,” says Nichols. Nichols leads a guided meditation session. As a longtime advocate and practitioner of meditation, Nichols frequently leads students in guided meditations as well as crafting assignments to help them access subconscious insights and inspirations. For example, he asked the summer bike builders to keep a daily journal while in Japan, beginning each day with a question, adding an image and then writing down reflections about whatever new concepts or connections they discovered by the end of the day. “Doing that on a regular basis helps you notice your surroundings more acutely and learn to trust your own insights and observations,” says Nichols. Steel-framed beauties in the shop of master craftsman Shinichi Konno. Senior Max Pratt 19 FD will also be showing his state-of-the-art bicycles at the ball, as will RISD alums Doug Breismeister MFA 01 SC and Kris Henry 02 ID. The exhibition runs from 2–10 pm, and tickets range from $5–12. 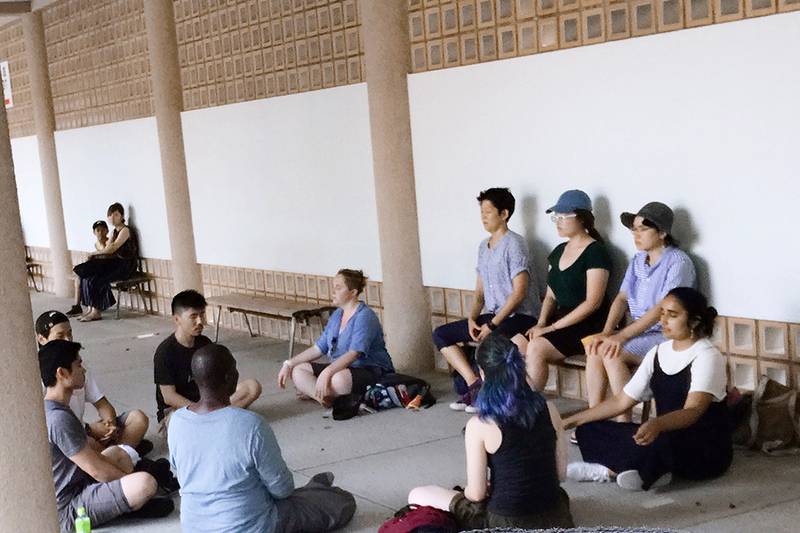 Students enrolled in RISD Global Summer Studies classes explored international cultures, making traditions and design aesthetics. Associate Professor Paolo Cardini leads a RISD symposium in Rome focused on non-Western, student-conceived visions of the future. A cross-disciplinary spring studio sponsored by Textron Aviation Inc. invites students to reimagine the experience of flying.